The world is in the throes of a cocktail revolution. Nearly a quarter of all Americans drink cocktails when out with friends, as do almost a fifth of UK consumers. In the past eight years, London Cocktail Week - the biggest drinks festival in the world - has more than quadrupled in size to over 230 bars and 30,000 cocktail lovers. This year, bartenders from more than 56 countries journeyed to Berlin for the tenth anniversary of WORLD CLASS - one of the biggest bartending competitions worldwide. The result of this cocktail renaissance is a new emphasis on quality over quantity. 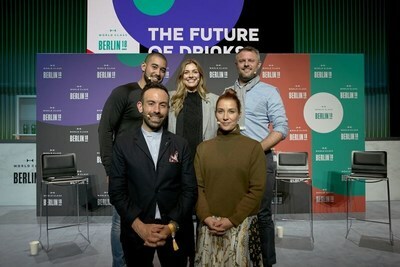 This weekend, as the bartending elite battled it out in Berlin for the title of WORLD CLASS Bartender of the Year, a panel of the world's leading flavour experts, hosted by Diageo Global Cocktailian, Lauren Mote, included bartending legend Jeffrey Morgenthaler, king of the Instagrammable cocktail Elliott Clark (a.k.a. Apartment Bartender), Claire Smith Warner, Head of New Brands at Seedlip (the world's first non-alcoholic distilled spirit) and World Class Bartender of the Year 2012, Tim Phillips-Johansson, discussed what the future of drinks will look like in 2019. It may seem odd for cocktail enthusiasts to wax lyrical about the perks of low and no-alcohol drinks, but 2019 is set to see plenty of new low and no-ABV cocktails. 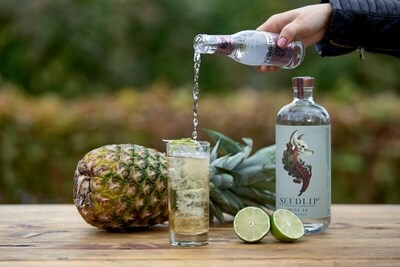 Non-alcoholic spirit Seedlip has gone from strength to strength since its launch in 2016. No-alcohol options are particularly popular among younger consumers, with 46% of under-35s likely to order a mocktail, versus just 16% of over-35s. 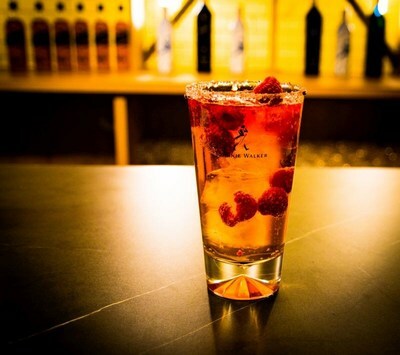 This is all about a desire for choice; to have drinks for any occasion without compromising on flavour. Brands, blenders and bartenders have always insisted that flavour is key, and low-proof options allow consumers to savour taste while managing their alcohol intake. In 2019, WORLD CLASS expects to see this pick up steam, as the global trend towards well-being continues to flourish. Claire Smith Warner added: "There's a growing awareness of cocktails as experiences that are as intricate and thoughtful as meals, and more people want to take part. It's not about replacing alcoholic cocktails altogether; it's about bartenders experimenting and adding more low-ABV options to their repertoire." Cocktail culture has skyrocketed, and today any mixologist can whip up an array of complicated cocktails at the drop of a hat. WORLD CLASS offers a few ideas on how to make a drink to stand out. Many turn to social media, and a new generation of 'drinkstagrammers' have emerged, bringing a fresh vibrancy to cocktail making and reaching an audience that might never have got involved before. Elliott Clark (@apartment_bartender), said: "For people like me with no formal bartending experience, social media opens up this incredible industry and provides a creative outlet to engage and interact with the wider drinks community. But more than that, it challenges seasoned bartenders to think outside the bar and push themselves creatively." In 2019, how the drinks look will be just as important as how they taste. Social media recognition plays a major role in the drinking habits of younger consumers, and in response, brands and bartenders will continue to experiment to take their cocktails, and their social reach, to a whole new level. The drinks industry is in the grips of an anti-waste movement, and consumers are increasingly concerned with social responsibility. 73% of millennials express a willingness to spend more products from sustainable brands. 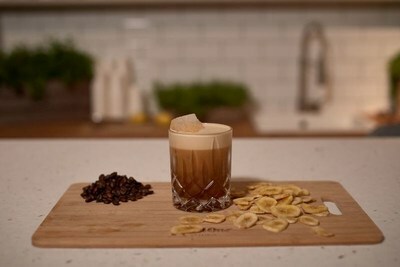 Top bars will go above and beyond to reduce waste, scrapping the perishables and turning leftovers into innovative eco-friendly cocktails. Tim Philips-Johansson said: "It might seem odd since we sell alcohol for a living, but bartenders want the best for our customers and the environment. We want our world to be healthier, and that means making conscious decisions to positively influence the direction the world is moving." Global Head of World Class, Emily Wheldon, added: "Whether it's a Johnnie Walker highball or a Zacapa Old Fashioned, drinks that look and taste great and contribute in some way to making the world a better place are going to take centre stage. "Drinks can be low-alcohol or zero-waste, but if they don't taste superb, people won't buy them. That's why all our Reserve brands, like Tanqueray No. TEN, Bulleit and Talisker, work closely with bartenders to create spirits with their needs in mind. We're really excited about working with the best talent in the business as these trends take shape." Visit makeitworldclass.com or the WORLD CLASS Instagram for delicious recipes, how-to videos and to get the low-down on all the latest trends.